This case study demonstrates the expertise of our Clinical Negligence team. In this pair of connected cases, the team recovered £22,500 for the Estate of a deceased cancer patient and £7,000 and £8,000 respectively her husband and daughter as secondary victims. The deceased ('M') was diagnosed with breast cancer at age 37 a number of years ago. Treatment was successful but the cancer returned four years later. M was given an estimated survival of 5-10 years. Six years after that, M's condition deteriorated and she underwent chemotherapy. The following year, M was admitted to a local hospice aged 47. Clinicians there felt that she was close to death but there was discussion with M's husband in which further life-extending treatment would be considered if M could regain enough strength. Arrangements were made for M to return home. Unbeknown to M or her family, the hospice recorded a DNAR in her medical records because, it was considered by the clinicians that CPR was unlikely to restart her heart and breathing, and restarting her heart and breathing would not provide her with any benefit. The DNAR form further stated that M's said status had not been discussed with her or with those close to her for reasons of 'medical futility'. With regard to M’s transfer home, the hospice decided that M would require to be carried upstairs once at her home and provided clear instructions in this regard to the organisation responsible for the transfer. The ambulance crew members however were not given this information, neither was M nor her family. M was discharged in her nightwear and waited two hours before being collected. It is believed that she was indeed carried to the patient transport service ambulance which was manned with a crew trained in first aid only where she was taken home alongside other patients. The expected journey time of 20 minutes was exceeded with an estimated time exceeding an hour and a half. M was wheeled her in a wheelchair to the front door of her home where she was met by her husband and two of her children. However, the crew refused to carry her any further and asked her to enter the house by walking over some steps, which she did unaided. Once insider, the crew encouraged then informed M to cross the hall and alight the stairs, to take herself to bed. She was reported as looking frightened by this by her daughter, B. M's husband protested and requested to carry M himself expressing that M was too weak to climb the stairs but he was not permitted to by the ambulance crew who insisted that she must walk unaided. M attempted to walk up the stairs, pausing to recover after each step or two, but she became increasingly weak and breathless and at the penultimate tread she collapsed, losing consciousness. R caught M as she fell and prevented her from falling back down the stairs. The ambulance crew then stated that they had a special chair used to carry patients which they would get from the ambulance. M was placed in the chair and taken to the upstairs landing where the ambulance crew attempted cardio-pulmonary resuscitation and after some delay began giving her oxygen via a face mask. M's daughter R was trained in first aid and was concerned with the quality of resuscitation attempts she was witnessing. R was instructed to dial 999 and an emergency ambulance crewed by fully-trained paramedics arrived within a few minutes. They continued resuscitation of M. While the resuscitation was continuing R received a telephone call from the hospice, and the caller asked to speak to the paramedics. The paramedics were then wrongly informed by the hospice that M had signed a DNAR form. In response to this information, and before M had fully regained consciousness, the paramedics ceased resuscitation, with the apparent intention of letting her die. R and B were informed of the DNAR by the paramedic who had spoken to the hospice. M was then carried into her bedroom where she appeared only to be partially conscious. All of these events were witnessed by R and B. The scene at the house was of pandemonium and confusion, and they were in immediate fear that M was about to die on the stairs or the landing. It was confirmed that M had suffered a stroke while alighting the stairs. She died two days later. As a consequence of what they had experienced by being present and witnessing the events unfolding in front of them M’s husband suffering a prolonged adjustment disorder requiring bereavement counselling by an experienced bereavement counsellor or perhaps even a counselling psychologist because the issues in play were so complex and M’s daughter suffered Post Traumatic Stress Disorder (PTSD) and a depressive episode of moderate severity, also defined as a major depression which both served to worsen bereavement to the extent that it became what used to be termed pathological bereavement. M's husband as executor of her estate alleged that had she been carried to her bed, she would not have suffered the stroke and its paralysing symptoms and have survived longer. In essence, the ambulance service conceded this. ore specifically however, it was said on behalf of M that the ambulance service failed to institute and/or operate any or any adequate system of evaluating her transportation needs; failed to institute and/or operate any adequate system of ensuring that instructions given by the hospice requesting transport of a patient were adequately recorded or transmitted to the relevant ambulance crew; failed altogether to record the details in relation to M given to it by the hospice; having recorded that M would require to be carried upstairs, failed to communicate that information to the ambulance crew; transported M using a PTS ambulance and a crew trained only in first aid; failed to allocate to the transport of M either (1) a STS ('Special Transport Service') ambulance and crew or (2) a trained Accident & Emergency crew, either of which would have been able to provide full medical treatment to patients being transported should it have become necessary; failed to consider the implications of the fact that M was being discharged home from a hospice and that she was likely to be extremely frail; required M to travel in an ambulance for at least an hour between the hospice and her home, thereby weakening her condition further; required M to step over the threshold and attempt to climb the stairs to her bedroom; failed or refused to use the chair provided to them for carrying patients too weak to walk; insisted that R should not carry his own wife up the stairs of his own home; failed to plan and/or to execute the transport of M to her home in a reasonably competent manner and exposed M to a risk of injury. Potential breaches of Articles 3 and 8 of European Convention on Human Rights (inhuman or degrading treatment and respect for private and family life) were raised as addition possible claims. Additionally, M’s Husband and daughter alleged injury by virtue of being secondary victims. With regard to the potential claims of R and B, we had to consider whether a sudden shocking appreciation of a particular manner of someone's death (as against the fact of the death which is expected, albeit by different means) can lead to a nervous shock claim and if it was relevant that the person experiencing the sudden shocking appreciation did not know, but should probably have known, that death by a different cause was imminent. We felt that a distinction in the manner of expected death was irrelevant because although someone may expect death in a particular manner, experiencing death in a different manner could be sufficiently shocking to cause psychiatric injury. A period of 4 weeks for the family to appreciate that M was not going to rally, and a peaceful passing while sedated, would have been very different to the awful events at the top of the stairs followed by a stroke. Our expert agreed that the circumstances in this case were such in which a witness could develop a psychological injury. He confirmed that R had suffered a prolonged Adjustment Disorder requiring counselling from a clinical psychologist. He also confirmed that B had suffered a Post-Traumatic Stress Disorder lasting approximately 2 years and a Depressive Episode of Moderate Severity lasting approximately one year. Although her current symptoms at the time of assessment were not sufficient to qualify as a psychiatric illness, she had residual symptoms which would be assisted by counselling if B chose. Liability and causation were admitted in relation to M‘s treatment, resulting in a settlement of £22,500 of which £7,700 represented M’s own suffering, £2,758.61 represented funeral expenses, £10,000 bereavement damages and an estimate of £500 for gratuitous care (to take into account that four family members spent the majority of M's last 48 hours or so at her bedside. Liability for the secondary victim's claims were not admitted but we were able to negotiate settlements of £7,000 and £8,000 respectively for M's husband and daughter as secondary victims for the anguish and injuries they suffered from their witnessing of the dreadful events that unfolded in front of them. This case shows that in certain circumstances, negligence in the carrying out of clinical duties can injure others. But for the substandard treatment, M’s last few days or weeks at home would have passed peacefully and she and her family would have been given the opportunity of making their farewells in a dignified and calm manner. The psychiatric injuries suffered by the R and B as a result of witnessing the events described would have been avoided. 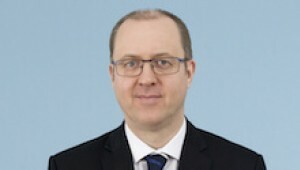 Jonathan Herbert has significant experience of dealing with clinical negligence cases. If you would like to ask Jonathan a question about a potential case involving medical negligence contact him on 01892 701226 in confidence.